Home » Galleries » Past Shows » 2003-2004 » Preus Library » "Iowa Farm Life"
Arthur Melville "Pete" Wettach (1901-76) was a self-taught and prolific photographer who settled in Mt. Pleasant, Iowa in the 1920's, where he worked with the Farm Security Administration as supervisor of a 17-county area. In 1948, he became a full-time photographer and continued to travel and photograph the rural Midwest until his death in 1976. 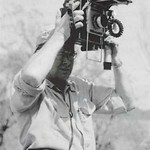 He created nearly 100,000 images over six decades that document a way of life that has disappeared from the landscape. Many of his photographs were published in the Des Moines Register, Wallace's Farmer, and Successful Farming. Wettach's photographic negatives were "discovered" nearly four years ago by Leslie Loveless, an editor at the University of Iowa Institute for Rural and Environmental Health. She traced the photos to the photographer’s son, Robert Wettach, M.D. of Mt. Pleasant, who had stored most of his late father's negatives in his basement for more than 20 years. He has donated a portion of the collection to the State Historical Society of Iowa, which loaned the 30 black-and-white photographs for the current exhibit. 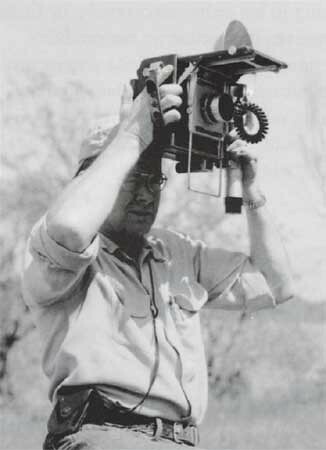 A.M. Wettach was the subject of an Iowa Public Television documentary in December, 2002 and a book, Bountiful Harvest, The Midwestern Farm Photographs of Pete Wettach, 1925-1965 by Leslie Loveless, published by the University of Iowa Press in September 2002. Copies of the book are available for purchase at the Luther College Book Shop. Jeff Wettach, Luther assistant professor of health and physical education and head coach of the men's cross country and track and field teams, is the grandson of photographer A.M. Wettach.